The Natural Nutritious Black Wolfberry originates in the Himalayan Mountains in Central Asia where it is revered for its health benefits. 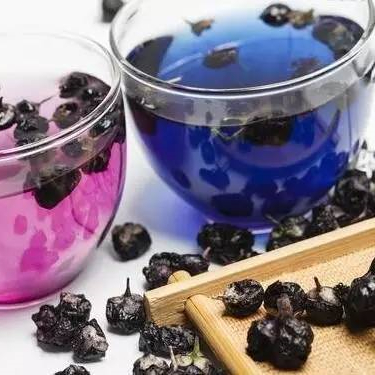 The fruit may be eaten fresh, dried or made into a tea, and just a few dried fruits added to water will turn it vivid purple. Black Goji fruit contains vitamins A, C and E, and includes some essential fatty acids which are unusual in fruits. They also have large amounts of proanthocyanidins, a powerful antioxidant that removes free radicals from cells similar to cranberries or grape seeds. Looking for ideal Organic Black goji berry Manufacturer & supplier ? We have a wide selection at great prices to help you get creative. All the Grade A Dried Goji Berry are quality guaranteed. We are China Origin Factory of Grade B Dried Goji Berry. If you have any question, please feel free to contact us.